Back in March this year, the Government released a consultation for the Renewable Heat Incentive: a reformed and refocused scheme. Stakeholders had their chance to give their views on the proposals set out by the Department for Business Energy & Industrial Strategy (previously DECC). A total of 370 stakeholders responded, expressing a wide range of views, and BEIS finally published their response yesterday (14th Dec). The changes announced will inevitably impact the biomass, biogas and biomethane sectors; BEIS state to “vastly improve the carbon cost-effectiveness of further support”. Some of the changes will be a boost for industry, including an increase in tariffs for biomethane and domestic biomass, and the maintenance of the biogas tariff which will not degress in January. While others will cause some headaches. New biogas and biomethane plant will only receive support on all heat or biomethane produced if at least 50% of the biogas or biomethane is derived from wastes or residues; excess generation (i.e. >50%) from non-wastes and residues will not be supported. Plants commissioning between 14 December 2016 and the date the new regulations come into force will have a choice of which set of rules they fall under. Tariff guarantees will be introduced for large biomass boilers (>1MWth), large biogas plants (>600kWth), all capacities of biomethane and biomass-CHP. No guarantee can be provided into the next Spending Review period, so plant must commission or commence biomethane injection on or before 31 December 2019. BEIS claim these reforms will offer better value for money while ensuring long term de-carbonisation using the right technologies for the right uses. Alongside the consultation response, two independent reports written by NNFCC were published detailing some of the evidence used to inform policy decisions. 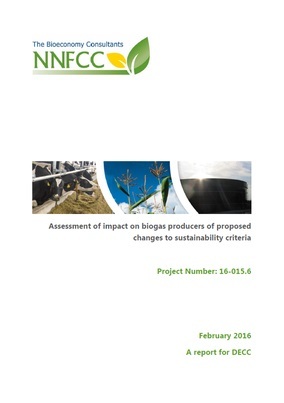 NNFCC were commissioned by DECC (now BEIS) to assess digestate drying as an eligible use of the RHI, and the impact on biogas producers of proposed changes to sustainability criteria. Despite making it easier to transport and store digestate, NNFCC’s report indicates the drying process is not a widespread appropriate use of RHI budget, without further restrictions which would be complex to implement other than on a case by case basis. Transport of unprocessed digestate up to 100 km has been shown to be more economical and emit less GHGs than digestate drying, due to the high energy demand. The widely used mechanical techniques of dewatering digestate, and newer technologies for separating fractions, could be deployed by those unable to finance thermal treatment to reach higher value markets. Other uses of renewable heat may be more beneficial to deliver real carbon savings, such as supplying local heat customers and process heat demand. NNFCC’s analysis of crop supply chains used in AD, showed that many crops are able to demonstrate a 70% reduction in GHG emissions compared to the fossil fuel comparator. Typically, the best GHG savings were achieved on sugar beet and maize, while grass silage was the poorest compared to other crops. However, nitrogen fertilisers and crop yields have a big impact on emissions; whereas, transport has little impact. The analysis highlights the complexity of setting the GHG levels to indirectly limit crops, as there are many variables and assumptions in each supply chain and cropping system. This is potentially why the Government have chosen a more direct restriction on use of crops. Limiting purpose grown crop inputs into AD is a good step in the direction to increase valorisation of waste (see the project AgroCycle which we are heavily involved, to read more about waste valorisation). However, there are still many barriers to accessing waste in the current system, particularly legislative and market barriers. Our AD Deployment report shows the rate of uptake on waste feedstocks has begun to level off for new plants, signalling a shortage of available biowaste. Policy around waste is very complex, restricting use of certain types of waste and use of digestate produced by wastes. In addition, local councils retain 20 year-long contracts with waste management companies, making it difficult to access post-consumer food waste, one of the largest biowaste feedstocks generated, as shown in our report for WRAP ‘The Organics and Recycling Industry 2015’ to be published soon. Much of this bio-waste ends up exported, in landfill or increasingly incinerated. 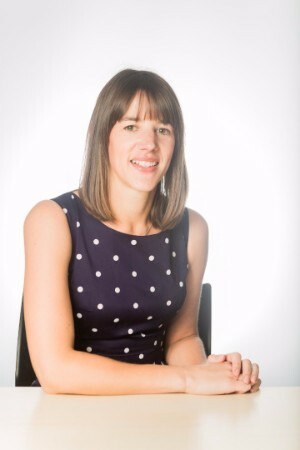 We are already helping our clients navigate the complexities, identify their options and develop their preferred pathways – if you need help understanding what this all means for you, don’t hesitate to contact us. 2. The Department for Business, Energy & Industrial Strategy (BEIS) is a ministerial department bringing together responsibilities for business, industrial strategy, science, innovation, energy, and climate change.